It is important to take vaccination / immunization in good time before you leave for the Philippines. - Hepatitis B for health workers and by longer stay here. - Anti malaria tablets are recommended as preventive if you are going outside Luzon area. - Medication against diarrhea, fever, allergies, pain relievers etc can be bought cheap here. - Mosquito repellent oil, -spray and roll on is wise to take from Norway, they are effective here. - Many people get help for mosquito bits from taking Vitamin B. There is malaria on the island Mindoro, where one of our centers are. However, we are quite safe as we use mosquito net during the night and repellant in the evening. - Hat, caps (or umbrella) is very useful in the sunshine here, especially on longer trips. Separate footwear for indoor and outdoor use. Bring with you comfortable shoes as it is important to prevent feet wounds in the warm climate. - Forms are delivered to the passengers during the flight. Fill in the form, and deliver it at the passport check in the airport. Common tourist visa for first time stay here is for 21 days. The address here is: MWBPh, Arnaldo Hghw, Brgy. Santiago, Gen. Trias, Cavite. As soon as you have ordered your ticket, please send us a mail with information about your arrival time, name of your flight and from where your last flight is starting. We need the information to pick you up at the right terminal. Manila Airport has 3 terminals. About 1 week before you arrive, you will get a mail from us on how to act in the airport. - Bring water or something to drink with you from the airplane. It may take 1 hour through the passport check, and it can be very hot to stand in line. - If your luggage doesn’t show up, deliver a form for missed baggage. 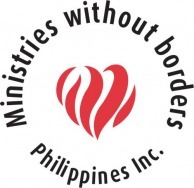 Write Ministries Without Borders, Ph. and the address there. Write also the telephone number to Gemma Parcia, 091 621 317 26. She is the Pilipino leader for the work here. Withdraw of money is possible to do in a bank or a shopping mall later. Most people use cards. If you have no Visa card, you can change to US dollar.